No one likes to stick on the side of the road when need to reach fast on the destination. These days, life is a bit easier and quick assistance available just in one call. Roadside assistance services are the quick sources to reduce much stress and problem sorted out within a few minutes. 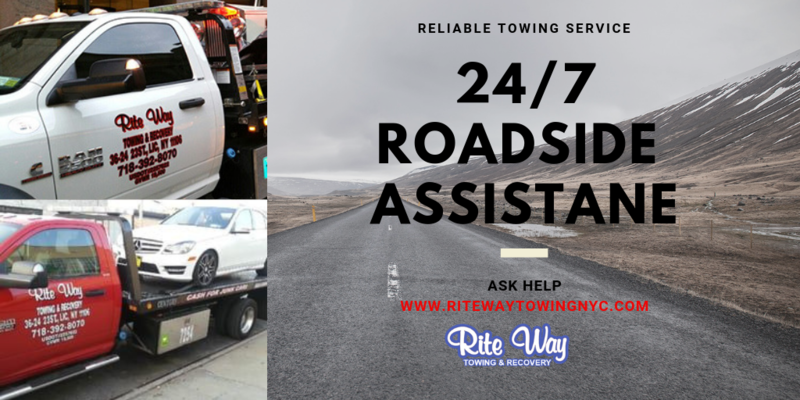 Ritewaytowingnyc is the professional towing company, offering 24 Hour Towing in New York when your vehicle breaks down and need assistance quickly. We offer opportune NYC 24-hour towing services and roadside assistance service for all those who don’t have lots of experience to tackle the vehicle problem on the spot. All it takes is a simple phone call and the help is on the way around NYC areas. Why & when you need Roadside assistance services? Roadside Assistance is a form of protection that helps you when your vehicle breaks down and need for emergency assistance. Our NYC Roadside Assistance Services includes a number of different services, depending on your need to choose from. It means the professional quick help is just phone away when you have a problem with your car. Here are some reasons when you need Roadside Assistance the most; we available just in one call you when you need it. Roadside assistance is an incredibly handy source when your car needs to be towed. Ritewaytowingnyc provides a service in Brooklyn, Manhattan, Queens and more areas of NYC and gives professional assistance within a few minutes at your sticking place. It’s actually favorable to get roadside service near me; our expert technicians come out and get your car again going on at a very affordable cost. We are just a phone call away from you! Whether you may not have jumper cables with you to restart car battery, or you may not know how to safely use it, you should take the assistance of professional and get your car again going on. Jump-starting could risk demining the wiring system of your car, it’s better to make the approach of expert technicians for quick resolving of problem. Ritewaytowingnyc is always available and takes care of that at a very reasonable cost. Whether, you required Long Distance Towing services or nearby place In NYC, quickly make a call for assistance and get back on the road again. Check out all accessible service & call now for quick assistance right away! Many of us don’t like to see fuel gauge before going out and during traveling hunt for the fuel stations to resolve the situation. In case, you should run out of the fuel, we can have some delivered to you whenever you calling for help. We bring you enough fuel to make it to the nearest station and then you can go the way easily. Call us for quick Car towing services; it is a worthy solution to sort out the problem without delayed more at a very reasonable cost. It’s embarrassing and very inconvenient if locking ourselves out of own vehicle. 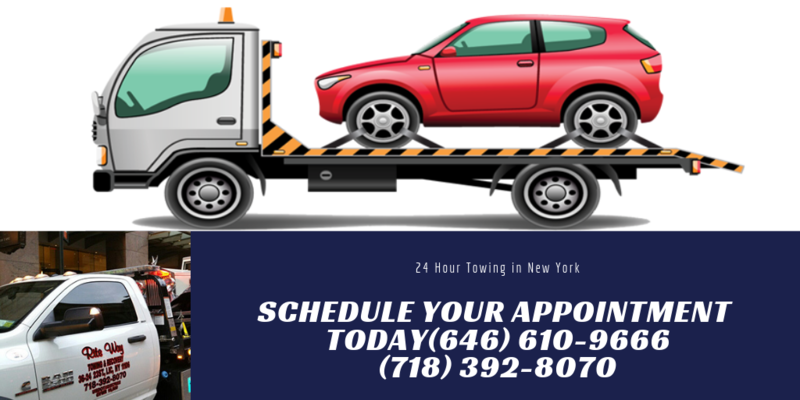 Fortunately, Ritewaytowingnyc is offering NYC 24-hour towing services and unlock your car quickly, so you can get back into your vehicle and moving again towards your destination. Our expert is always available to help you to resolve your any vehicle problem what might be wrong around NYC areas in a professional manner. It’s better to call us; we assist you 24/7 just in one call. Our 24 Hours Roadside Assistance in New York is highly specialized and offers plenty of Roadside Assistance Services without charging the hefty cost. We provide you peace of mind by giving assistance in quick manners, so you can save time, money and hassle when you stuck on the road whether it day or night. Make a call at (646)610-9666 and the help is on the way.